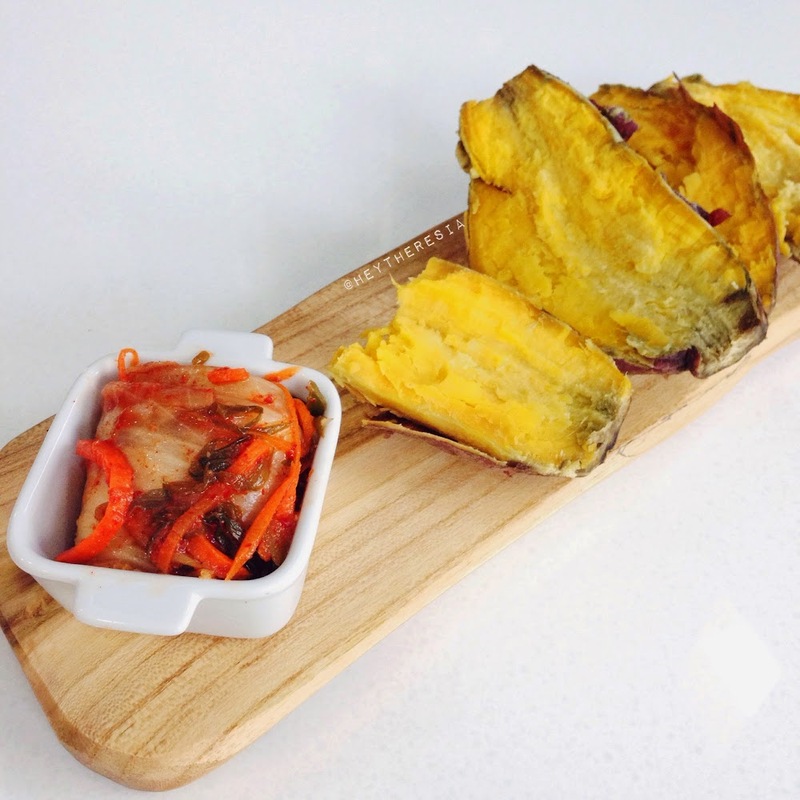 Pairing food, kimchi and baked sweet potato. It can be a snack. Spicy and sour kimchi with baked sweet potato, I love it! You can check my Kimchi recipe, it is actually easy to make your own kimchi and much better than store bought. I personally love sweet potato and so cassava, taro, and some other roots. With or without our conscious, there were some things that we find unusual but in the other side or let's say in other place, it's just a common thing. As I found out later that pairing kimchi and sweet potato is a common thing in South Korea, and it's exactly how old people do.